Staff at St Peter’s Hospital’s A&E department were surprised but very grateful - by the generosity of the Jubilee Church, Manygate Lane, Shepperton when two hampers were delivered to them on the evening of Tuesday 6 January. 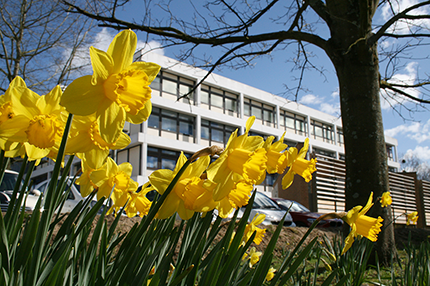 Ashford and St Peter’s is holding its first Cancer Support Day at Ashford Hospital, Post Graduate Centre on Wednesday 25 February 2015 from 9.30am to 4pm. 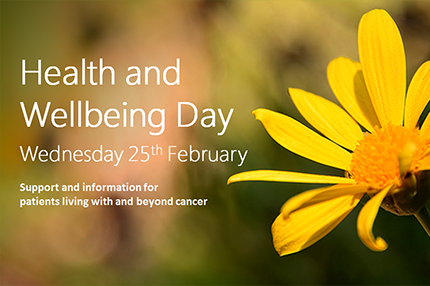 It has been organised to provide support and advice to those who have been or are being treated for cancer and their friends/families/carers. Surrey-based children’s charity Momentum www.moment-um.org today launched a fundraising appeal to completely renovate a children’s cancer treatment room at St Peter’s Hospital. 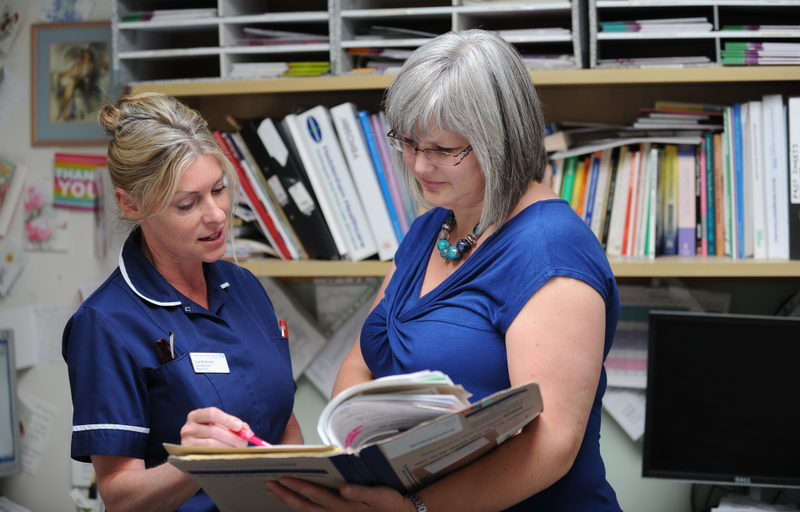 A team from Ashford and St Peter’s NHS Foundation Trust (ASPH) is one of seven health care project teams that have been selected by the Health Foundation, an independent health care charity, to be part of its new improvement programme, ‘Scaling Up Improvement’. 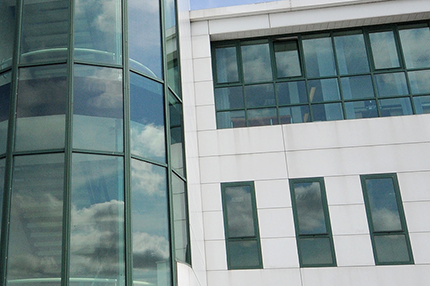 The Competition and Markets Authority (CMA) has today announced their intention to refer the merger of Ashford and St. Peter’s Hospitals NHS Foundation Trust and the Royal Surrey County Hospital NHS Foundation Trust to a second assessment phase. This means they will continue to investigate plans for the merger before making a final decision on whether or not to allow the merger to proceed. This second phase will take approximately 6 months to complete. 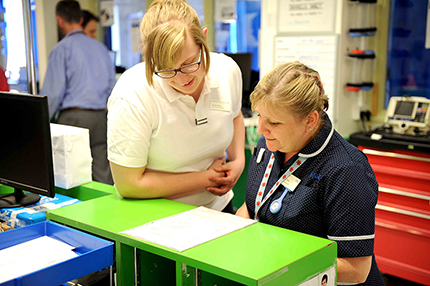 Staff at Ashford and St. Peter’s Hospitals are motivated and feel they can make a contribution towards improvements at work, according to the results of the latest National NHS Staff Survey published today (Tuesday, February 24). 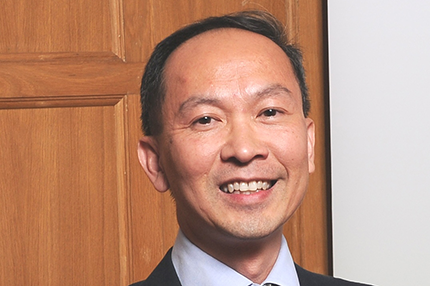 Following last week’s decision by the Competition and Markets Authority (CMA) to refer the Trusts’ merger plans to a second assessment phase, the Boards of both Trusts have now formally agreed to continue with the transaction towards a proposed merger. 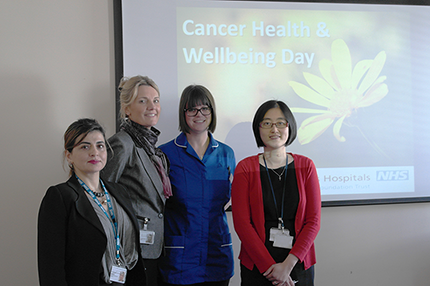 Ashford and St Peter’s Hospitals hosted a Cancer Health and Wellbeing day on Wednesday 25 February at Ashford Hospital. There was an amazing response to this event with over 100 people attending, made up of patients, family members and carers. 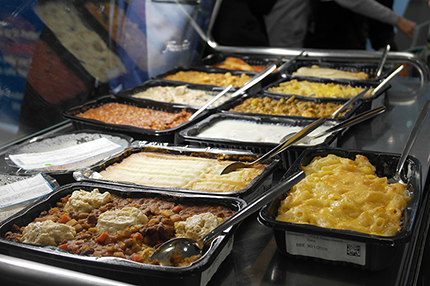 Are you prepared for the long Easter bank holiday weekend? 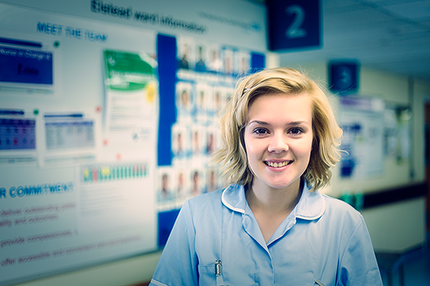 After Christmas, the Easter holidays is one of the busiest times for the NHS. 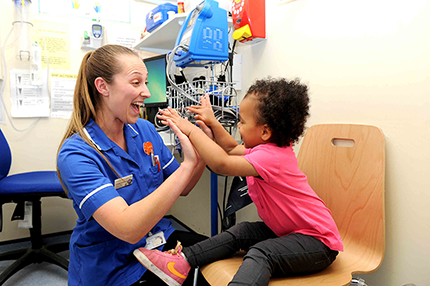 Ashford and St Peter’s Hospitals NHS Foundation Trust in partnership with the North West Surrey Clinical Commissioning Group (NW Surrey CCG) is encouraging the local community to think ahead and be prepared for the long Easter weekend. 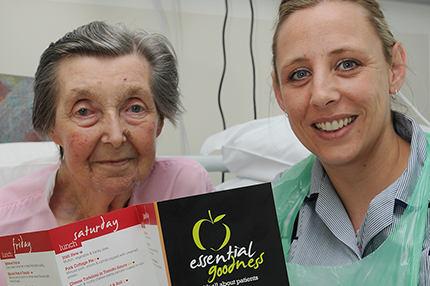 Last week, Ashford and St Peter’s Hospitals took part in a global awareness event which demonstrated the importance of eating and drinking to aid recovery. 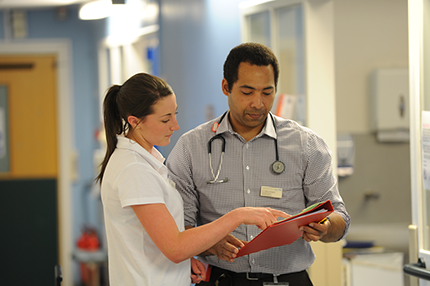 Ashford and St Peter’s Hospitals NHS Foundation Trust in partnership with North West Surrey Clinical Commissioning Group (NW Surrey CCG) are encouraging people to recognise the various medical help that are available, not just the A&E department. 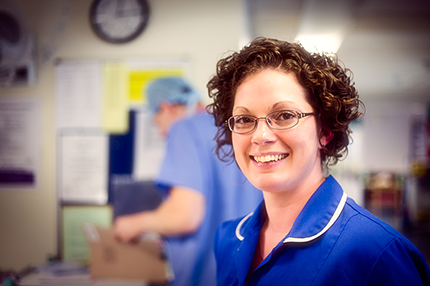 Ashford and St Peter’s has been shortlisted for the CHKS Top Hospitals Programme’s ‘Patient Safety’ and ‘Quality of Care’ Awards for 2015. 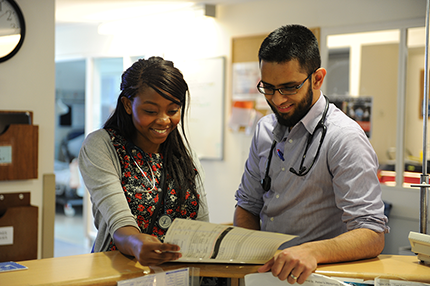 These awards celebrate excellence throughout the UK and are awarded to acute hospitals to celebrate their achievements in healthcare quality and improvement. 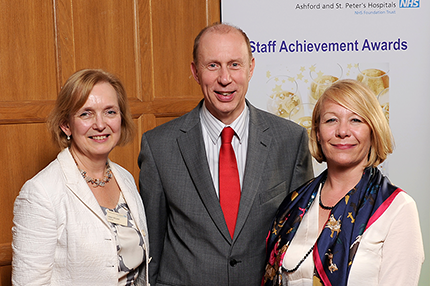 Around 130 staff and guests of Ashford and St Peter’s Hospitals NHS Foundation Trust came together to celebrate their 2015 Staff Achievement Awards on Thursday 16th April at Oatlands Park Hotel in Weybridge. 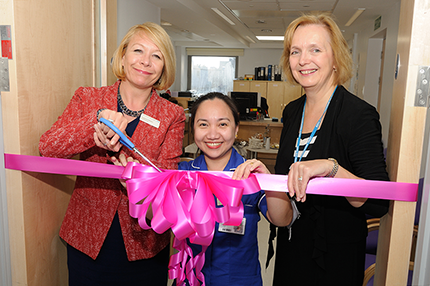 The new Admissions Lounge at St Peter’s Hospital was officially opened earlier this week, with the Trust’s Chief Executive Suzanne Rankin, cutting the ribbon. 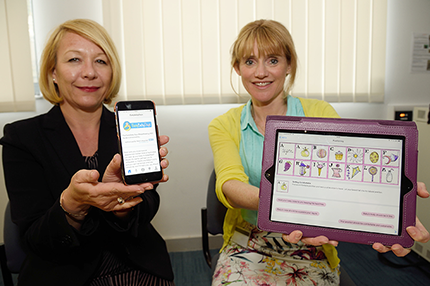 New and expectant mothers can have instant advice on breastfeeding wherever they are thanks to a smartphone app launched this week and endorsed by Ashford and St Peter’s Hospitals NHS Foundation Trust. 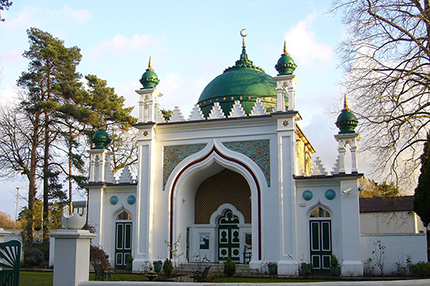 Local health professionals are running a series of talks in Woking mosques to help Muslims with diabetes manage their condition during the month of Ramadan which this year starts on 18 June. The Hospital Saturday Fund awarded £2,000 cheque as a direct result of Momentum’s application last December as part of their on-going ‘Enhancing the Healing Environment’ work. 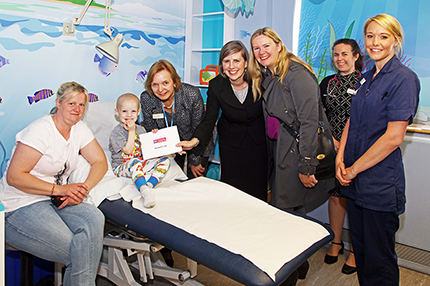 Zenaid Richards from the Hospital Saturday Fund presented the cheque to Ashford and St Peter’s Hospitals’ Chairman, Aileen McLeish and patient Oscar Hesketh-Williamson. 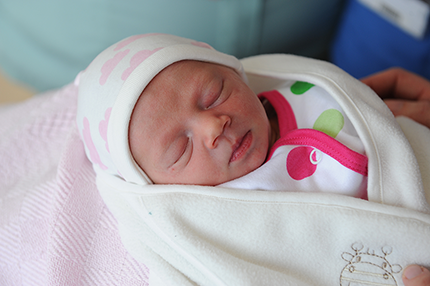 On Tuesday 5th May, The Abbey Birth Centre at St Peter’s Hospital celebrated its first birthday since it opened in 2014. 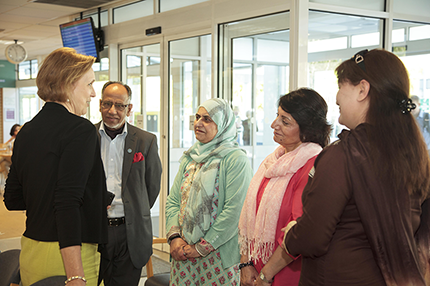 They invited mums who had given birth in the Birth Centre this time last year to join in the celebrations. 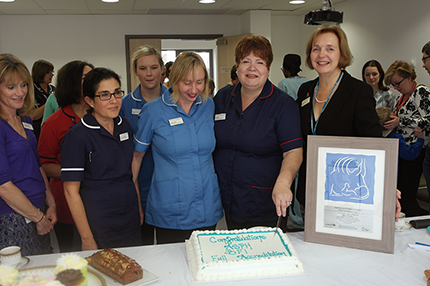 Earlier this week (18th May), Ashford and St Peter’s Hospitals NHS Foundation Trust won the Quality of Care Award at the CHKS Top Hospitals Awards. 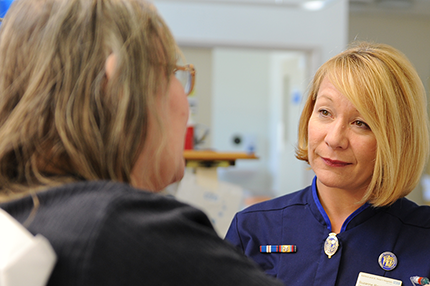 The Trust has also been named as a Top 40 Hospital by CHKS for the third time in a row. 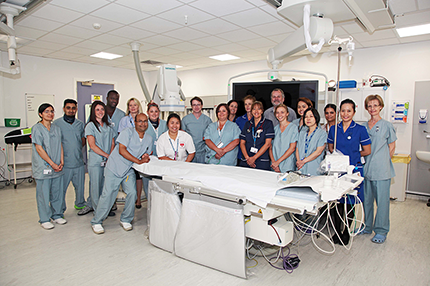 Ashford and St Peter’s Hospitals NHS Foundation Trust has been shortlisted for two national awards in this year’s Patient Safety Awards. 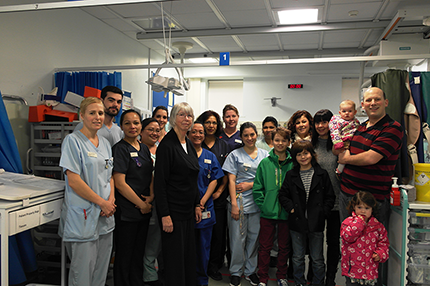 A Muslim community group in Woking has raised £400 for the maternity department at Ashford and St Peter’s Hospitals. Members of the Hum Nawa group, which means ‘Like Minded People’ in Urdu, organise social events every year and choose a local organisation or charity to support. 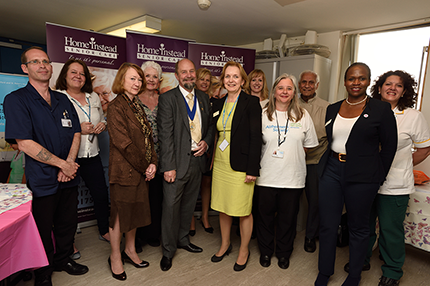 A new memory loss café in St Peter’s Hospital was officially opened by Runnymede Council’s Mayor elect, Cllr Derek Cotty on Wednesday 20 May which coincided with Dementia Awareness Week. 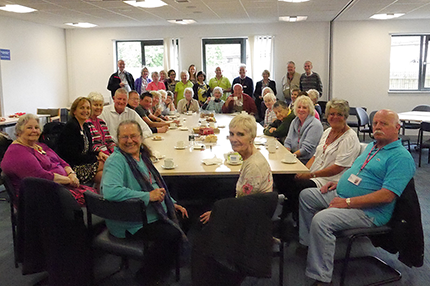 The Café was opened to provide an informal place for carers of dementia patients to go for a cup of coffee and support. 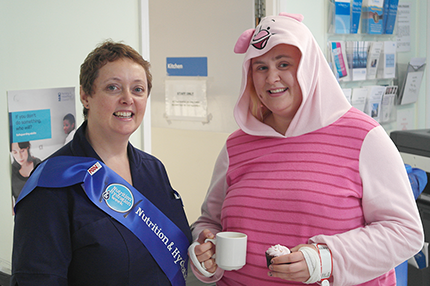 As part of Volunteers’ Week, volunteers at Ashford and St Peter’s Hospitals came together to enjoy a special tea party, organised by the Trust as a thank-you for their hard work and dedication. 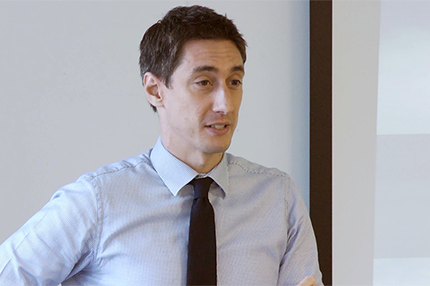 Frimley Health and Ashford and St. Peter’s Hospitals collaborate with Kainos Evolve and Hugh Symons for trust-wide overhaul of service delivery. 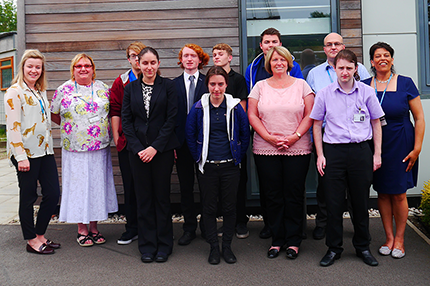 Seven students with learning disabilities from Brooklands College celebrated with a lunch together and a cake baked by one of the students, Simon Cassidy after completing a six month work placement at Ashford and St Peter’s Hospitals as part of their Learning for Employment And Progression (LEAP) Pathway Entry 3 course. 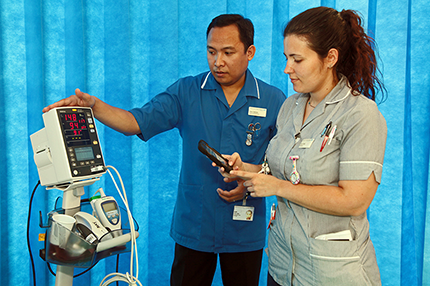 From next week, patients at Ashford and St Peter’s Hospitals will benefit from the latest developments in hand-held mobile technology as clinicians use electronic tablets to record patient observations. 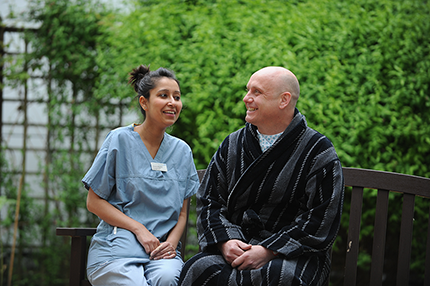 Ashford and St Peter’s Hospitals and North West Surrey Clinical Commissioning Group advise local residents to ‘Take extra care in the hot weather so you can enjoy it and stay well’. 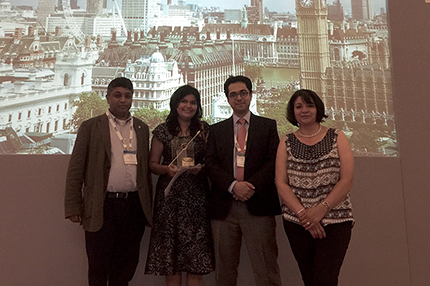 Dr Suruchi Pandey, a clinical Fellow at the Trust’s Centre for Endometriosis and Minimally Invasive Gynaecology (CEMIG), won an award for the best video presentation at the British Society for Gynaecological Endoscopy (BSGE) Silver Jubilee meeting in London in June. A temporary art exhibition created by artist Emma Barnard was unveiled last week at a special event at St Peter’s Hospital. 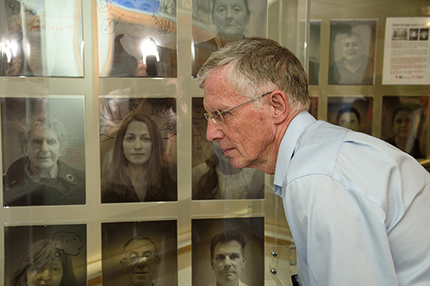 The exhibition was unveiled by Runnymede Mayor Cllr Derek Cotty and Heart Beat volunteer and past patient, Richard Docketty. This installation is part of a new initiative at the Trust to improve the experience of visiting a hospital as a patient or as a visitor. Peter and Angela Court, who run the Victoria Pub on Woodham Lane in Addlestone, are organising a special family-friendly Fun Day on Saturday 25th July, starting at 1.00pm. 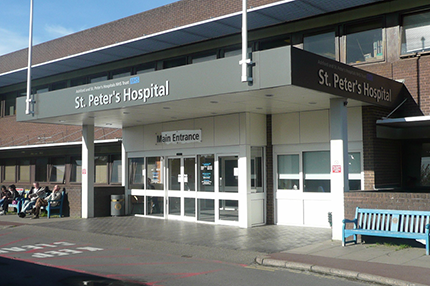 This year’s National Inpatient Survey, sent to patients who had spent at least one night in hospital in the summer 2014, shows an unprecedented level of improvement at Ashford and St Peter’s Hospitals. Ashford and St Peter’s West Surrey Clinical Neurophysiology Department joined many others in raising money on Purple Day in March. 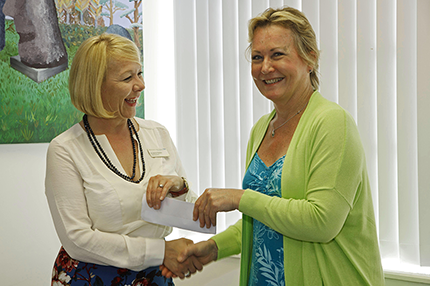 A cheque for £110 was presented by the Trust’s Chief Executive, Suzanne Rankin to Chairman of Epilepsy Action Guildford Branch, Gillian McCluskey. 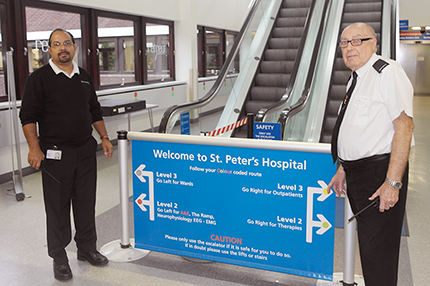 The catering services at St Peter’s and Ashford hospitals have undergone a revolution in recent years, achieving top hygiene ratings for the cleanliness of kitchens and service areas and high praise for the quality of the food and drinks served to patients, staff and visitors. 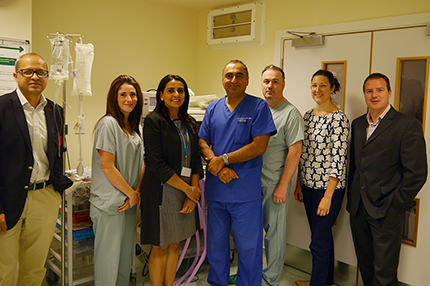 Ashford and St Peter’s Hospitals announce they are able to offer primary angioplasty 24 hours a day, seven days a week to reduce delay and provide the care needed more efficiently. 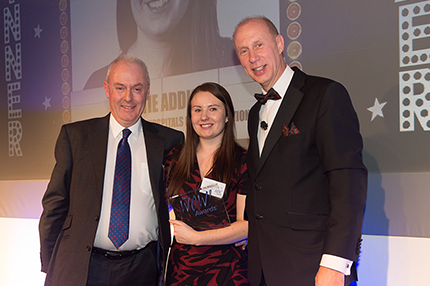 Ashford and St Peter’s Hospitals NHS Foundation Trust has reached the national finals of The WOW! 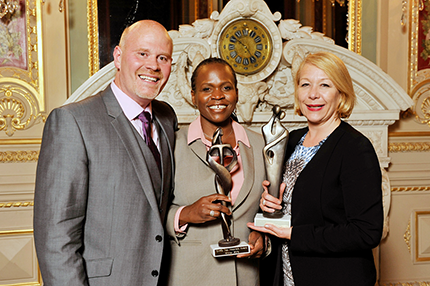 Awards 2015 for outstanding customer service in five of the 15 categories. 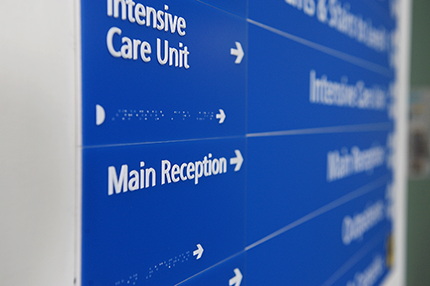 Following the recent publication of the National Emergency Laparotomy Audit (NELA), which looked at the performance of over 190 hospital Trusts nationally, results show that patients undergoing emergency bowel surgery at Ashford and St Peter’s Hospitals are receiving high standards of care. 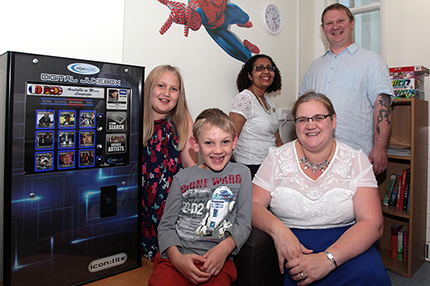 Teenage patients at St Peter’s Hospital in Chertsey can now enjoy listening to their favourite music on their own Jukebox as they sit and relax with their coffee, tea and soft drinks in their kitchen on the children’s Oak Ward. 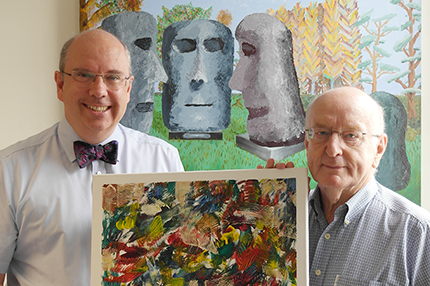 Patient, John Brooks, has purchased an original piece of art work created by Dr Adrian Fowle, Consultant Clinical Neurophysiologist with the monies donated to charity. Having a fall can be distressing at any age but for an elderly or frail person it can be disastrous and even life-threatening. It costs the NHS at least £15 million a year to treat the resulting fractures, head injuries and lesser conditions that result. 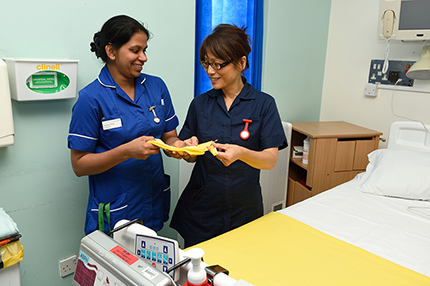 Ashford and St Peter’s Hospitals NHS Foundation Trust has been rated well above the national average for cleanliness and for the quality of food and drink served to patients in the 2015 national Patient-Led Assessment of the Care Environment (PLACE) inspections. 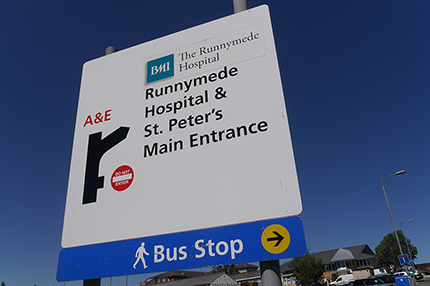 Earlier today, September 16 2015, the Competition and Markets Authority (CMA) issued their final clearance for the proposed merger between Ashford & St Peter’s Hospitals NHS Foundation Trust and Royal Surrey County Hospital NHS Foundation Trust. 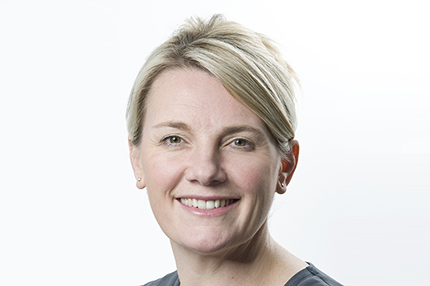 Ashford and St Peter’s Hospitals NHS Foundation Trust has been shortlisted in two of the top categories at the 2015 Health Service Journal (HSJ) Awards – the Board Leadership Award, and Chief Executive of the Year (Suzanne Rankin). 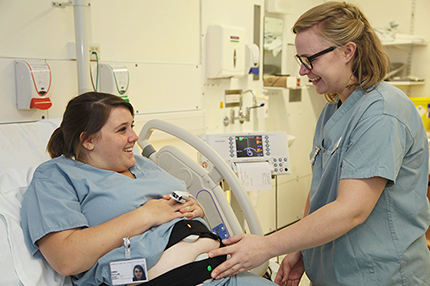 Labour Ward at St Peter’s Hospital in Chertsey has introduced a new e-monitoring system for babies during labour, which is the latest technology provided by EuroKing Maternity Software Solutions. 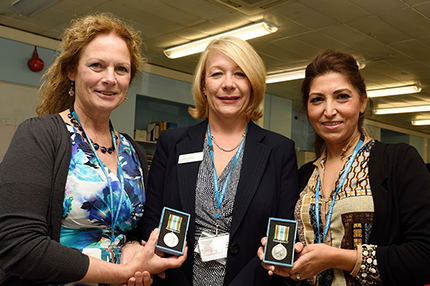 Two Biomedical Scientists from the Virology team at St Peter’s Hospital have been awarded ‘Ebola Medals’ for their service in Sierra Leonne through the International Medical Corps at the start of this year. 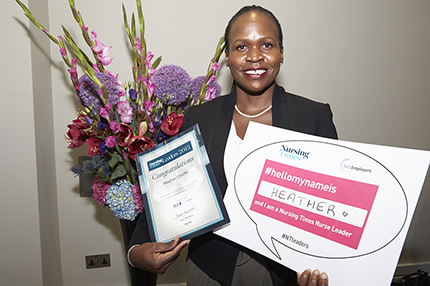 Ashford and St Peter’s Hospitals’ Chief Nurse, Heather Caudle was announced as one of the country’s most inspirational nursing leaders in 2015 by the Nursing Times at a reception in London last week (Wednesday 30 September). She was one of 48 individuals to receive this prestigious title. 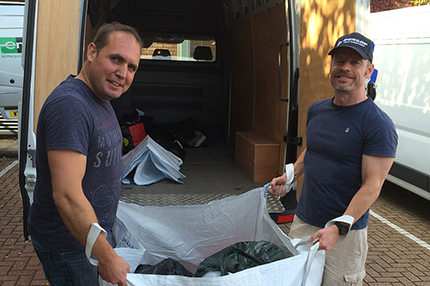 Staff from Ashford & St Peter’s Hospitals and North West Surrey Clinical Commissioning Group (CCG) have been busy collecting donations of essential items for refugees across Europe. Last week a joint safety initiative led by consultant anaesthetists at both Ashford & St Peter’s and the Royal Surrey County hospitals launched at a high profile event at Brooklands Museum. 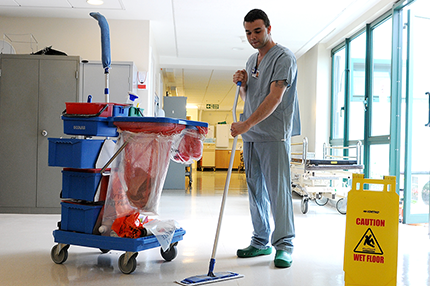 The Facilities Team, at Ashford and St Peter’s Hospitals NHS Foundation Trust has been shortlisted for the title of Facilities Team of the Year in the national Building Better Healthcare Awards, now in its 17th year. 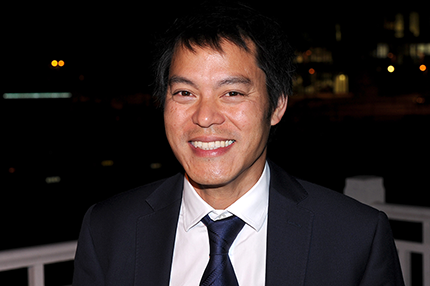 The finalists will be announced and the awards presented on Wednesday 4 November. 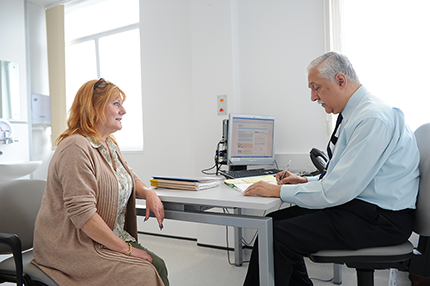 Ashford and St Peter’s Hospitals NHS Foundation Trust is contributing to the increase in clinical research being carried out in the NHS in Surrey and across the country. A temporary art exhibition created by artist Emma Barnard was unveiled last week at a special event at Ashford Hospital. 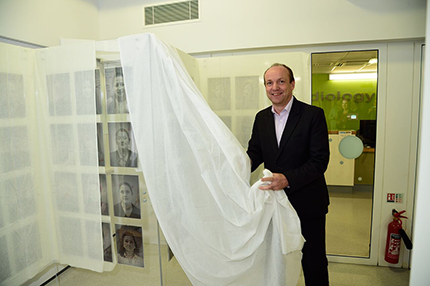 The exhibition was unveiled by Neil Churchill, Director of Patient Experience at NHS England. 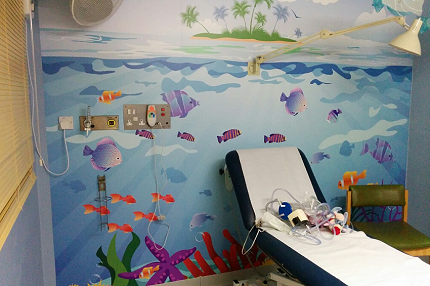 This installation is part of an initiative at the Trust to improve the experience of visiting a hospital as a patient or as a visitor. 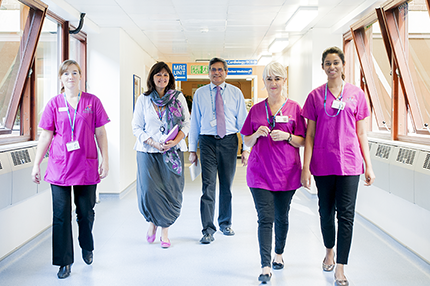 Ashford and St Peter’s Hospitals has been shortlisted for two NHS Kent, Surrey and Sussex Leadership Collaborative’s 2015 Leadership Awards. The winners will be announced and awards presented on Thursday, 12 November, 2015 at Sandown Park Racecourse, Esher. 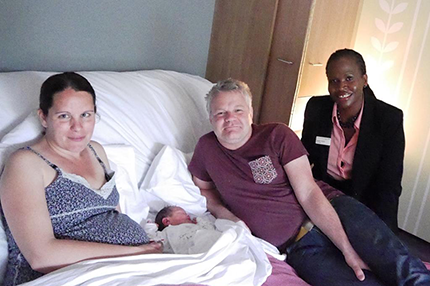 Ashford and St Peter’s Hospitals’ maternity unit has been awarded the prestigious Baby Friendly Award and is the latest UK health care facility to win international recognition from Unicef (United Nation’s Children’s Fund). The plaque for the Award was presented by the Trust’s Chairman, Aileen McLeish who was joined by members of the maternity, labour and Neonatal Intensive Care Unit teams and members of the Maternity Service Liaison Committee, members of the outreach Children’s Centres at Sayes Court and Claringdon. 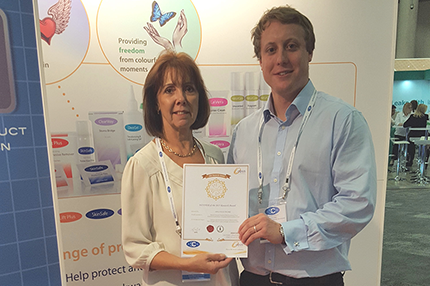 Ashford & St Peter’s Hospitals Eye unit has been selected as a finalist for the Best Ophthalmology Team for Age Related Macular Degeneration (AMD) following the recent Bayer Ophthalmology Honours judging day. 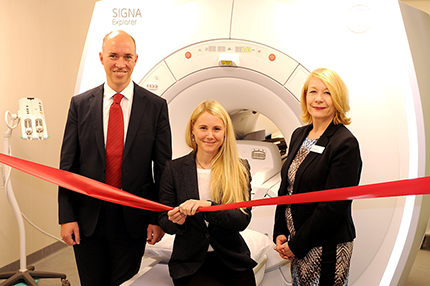 Former Olympic medallist and World Champion sailor, Sarah Ayton OBE joined Ashford and St Peter’s Hospitals and Alliance Medical staff to officially open a new state-of-the-art MRI scanner at a special launch event on Tuesday (3rd November). 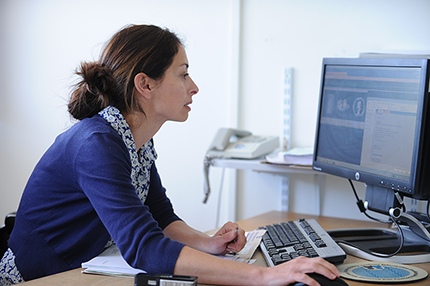 Research is seen as key to delivering better clinical outcomes for patients, and to help bring awareness to this innovative and developing area of patient care, Ashford & St Peter’s Hospitals are holding a Research and Development Open Day on Monday 16 November. 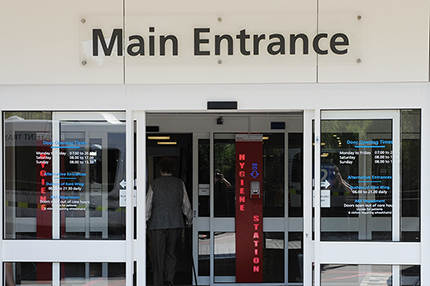 The open day takes place from 12.30pm to 6pm at St Peter’s Hospital, Chertsey, and is free of charge to attend. 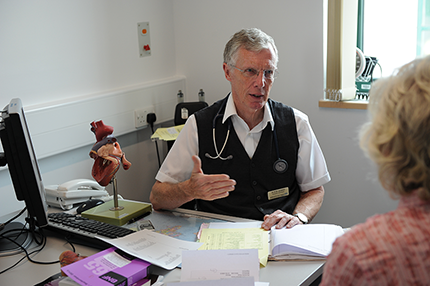 Guests can come along to one or all of the presentations from a range of leading clinicians and research experts in the healthcare sector. 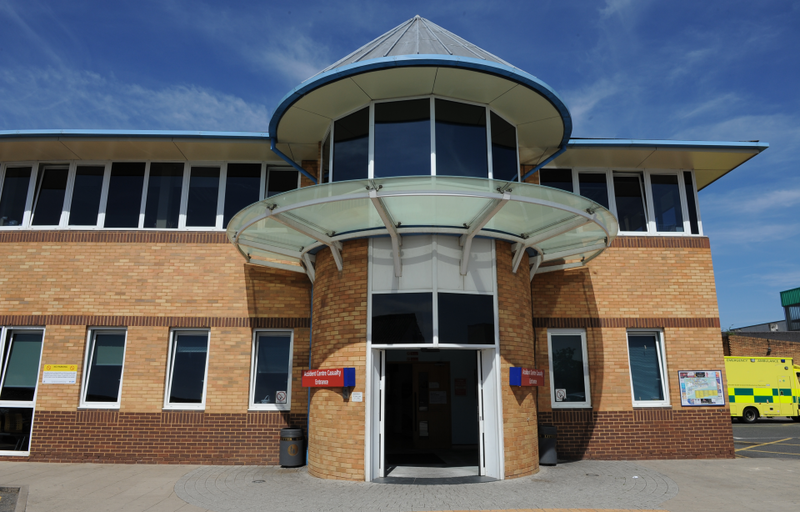 Patients and visitors may have noticed the different coloured dots that have been placed on the walls of the hospital building. Known as ‘The Wayfinding arrangement’ this project was proposed by the porters last year, and won funding from the ‘Be the Change’ initiative in 2014. 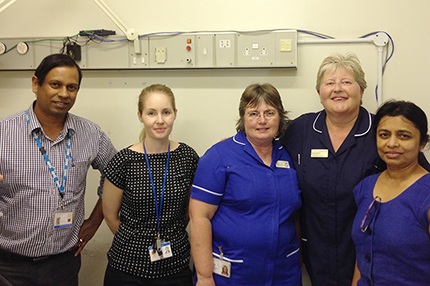 A team of specialist nurses at Ashford and St Peter’s Hospitals NHS Foundation Trust has won the 2015 Opus Healthcare Research Award jointly with a team from Western Sussex Hospitals NHS Foundation Trust for their combined project to study patients’ views on an innovative surgical method of reducing or eliminating distressing stoma leakages after gastric surgery. 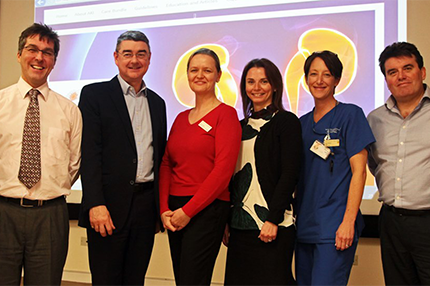 Ashford and St Peter’s Hospitals launched its ‘Tackling Acute Kidney Injury’ project with an event attended by around 70 staff to raise awareness of the signs of Acute Kidney Injury (AKI) to improve treatments and outcomes of patients with AKI. 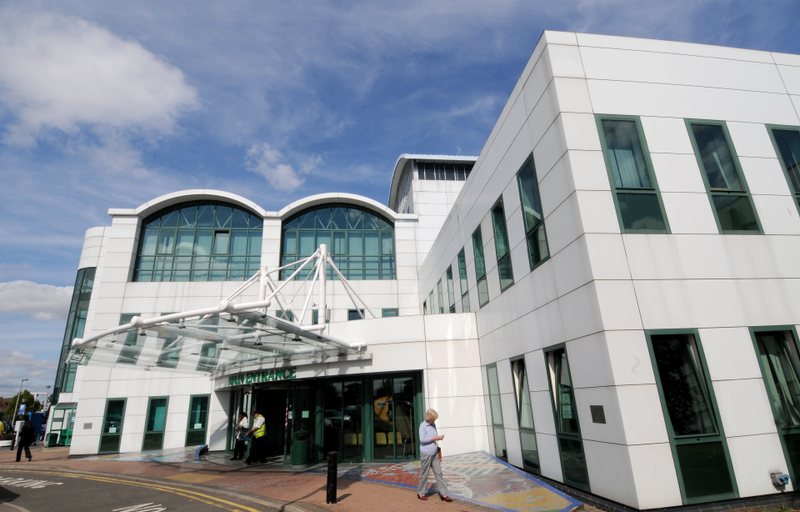 It is expected that the Boards of Ashford & St Peter's Hospitals NHS Foundation Trust and Royal Surrey County Hospital NHS Foundation Trust will make a decision on how to progress the proposed merger in January 2016, rather than December 2015 as planned. 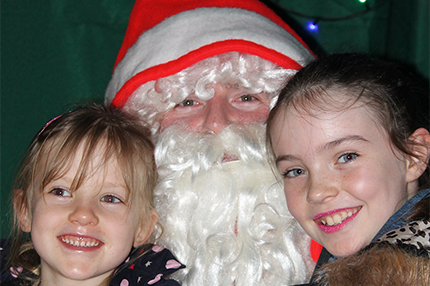 Staff and their children had some festive fun on Saturday (5 December) when Santa made time to bring his grotto to the Post Graduate Education Centre at St Peter’s Hospital. 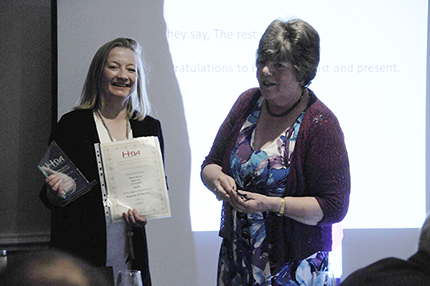 A trio of international awards have been won by teams and individuals at Ashford and St Peter’s at the WOW! Awards Gala Ceremony held at The Brewery in London. 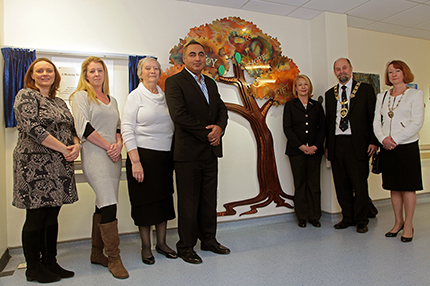 A new artwork installation, ‘A Memory Tree for Organ Donors', was unveiled at a special commemorative event at St Peter’s Hospital on 12th December, to recognise the precious gift given by organ donors. 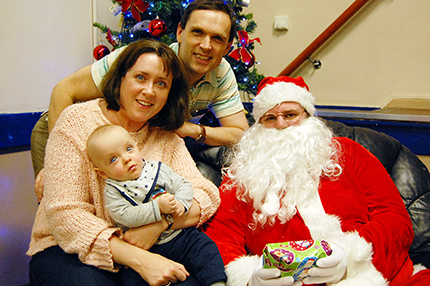 The Neonatal Intensive Care Unit (NICU) team at Ashford and St Peter’s Hospitals fundraise all year round to put on their annual babies Christmas party, providing a great occasion for families and staff to get together and catch up. 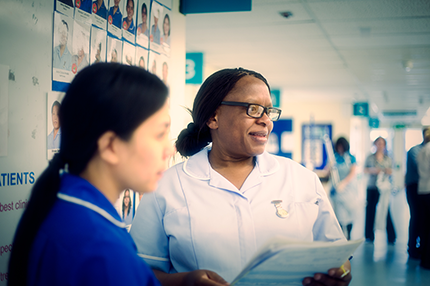 The latest national survey on maternity service standards across UK hospitals from independent regulator Care Quality Commission (CQC), shows that Ashford and St Peter’s continues to maintain high standards in maternity care.